This is a book about survival. It’s a theme I strongly relate to, one I’ve used in my own books. Set in the terrible Oklahoma Dust Bowl of the 1930s, the story chronicles the life of Victoria Hastings. The historical touches were not all that gave it authenticity; the feelings of the main character, unable to relate to her grandchildren who never knew the harsh struggle to survive, rang true as well. I have my quibbles. I would have liked to see more emotional depth in places. Still, having known and interviewed those who survived the Great Depression and World War II, I can understand the author’s reticence. In general, members of the Greatest Generation tend to be stoic. 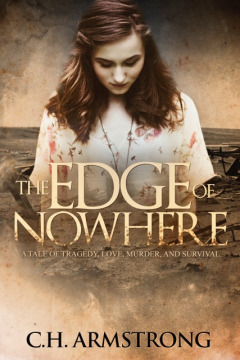 If this is an era that appeals to you, The Edge of Nowhere is well worth the read. This is a fascinating era to set a novel in! I read the book The Worst Hard Time, and it’s astounding what people went through. Thanks for the review!